Historical Fiction Virtual Book Tours and author Carol M. Cram are excited to announce The Towers of Tuscany Book Blast! Join us from April 7-13 as The Towers of Tuscany is featured around the blogosphere, along with a chance to win one of three copies of this amazing new novel! Called "a beautifully crafted masterpiece of historical fiction", "lush", and "page-turning" Cram's debut novel will appeal to readers who enjoy a strong female lead who, against great odds, dares to follow a dream. The Towers of Tuscany includes a Reader's Guide making it a perfect Book Club pick! In honor of the Book Blast we are giving away three copies to three lucky readers, see below to enter. 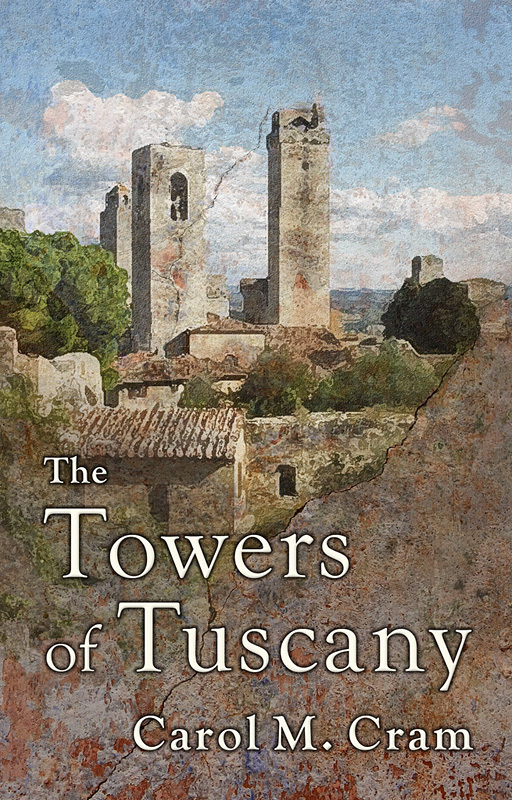 Publication Date: January 23, 2014 New Arcadia Publishing Formats: Paperback, Ebook Genre: Historical Fiction Set amid the twisting streets and sunlit piazzas of medieval Italy, the Towers of Tuscany tells the story of a woman who dares to follow her own path in the all-male domain of the painter’s workshop. Sofia Barducci is born into a world where a woman is only as good as the man who cares for her, but she still claims the right to make her own mistakes. Her first mistake is convincing her father to let her marry Giorgio Carelli, a wealthy saffron merchant in San Gimignano, the Tuscan city of towers. Trained in secret by her father to create the beautifully-crafted panels and altarpieces acclaimed today as masterpieces of late medieval art, Sofia’s desire for freedom from her father’s workshop leads her to betray her passion and sink into a life of loveless drudgery with a husband who comes to despise her when she does not produce a son. In an attack motivated by vendetta, Sofia’s father is crushed by his own fresco, compelling Sofia to act or risk the death of her soul. The choice she makes takes her on a journey from misery to the heights of passion—both as a painter and as a woman. Sofia escapes to Siena where, disguised as a boy, she paints again. When her work attracts the notice of a nobleman who discovers the woman under the dirty smock, Sofia is faced with a choice that nearly destroys her. The Towers of Tuscany unites a strong heroine with meticulously researched settings and compelling characters drawn from the rich tapestry of medieval Italy during one of Europe's most turbulent centuries. The stylishly written plot is packed with enough twists and turns to keep readers up long past their bedtimes. READ AN EXCERPT. 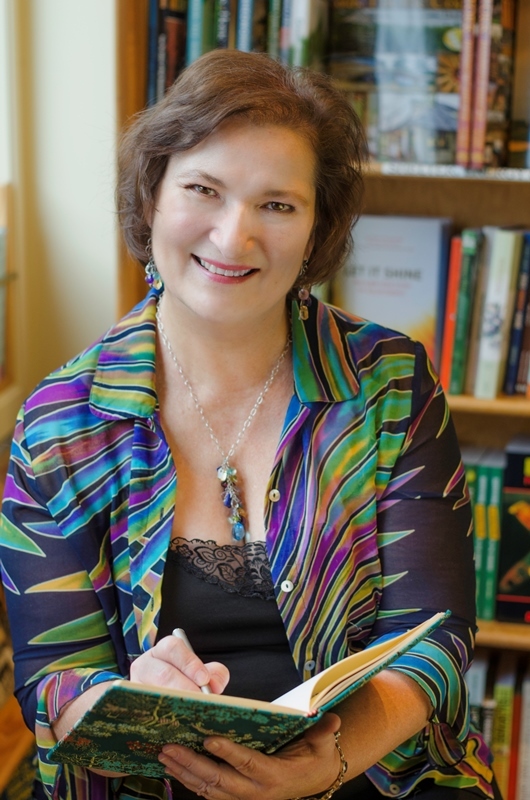 Carol M. Cram has enjoyed a great career as an educator, teaching at Capilano University in North Vancouver for over twenty years and authoring forty-plus bestselling textbooks on business communications and software applications. She holds an MA in Drama from the University of Toronto and an MBA from Heriot-Watt University in Edinburgh, Scotland. Carol is currently focusing as much of her attention as she can spare between walks in the woods on writing historical novels with an arts twist. She and her husband, painter Gregg Simpson, share a life on beautiful Bowen Island near Vancouver, Canada.